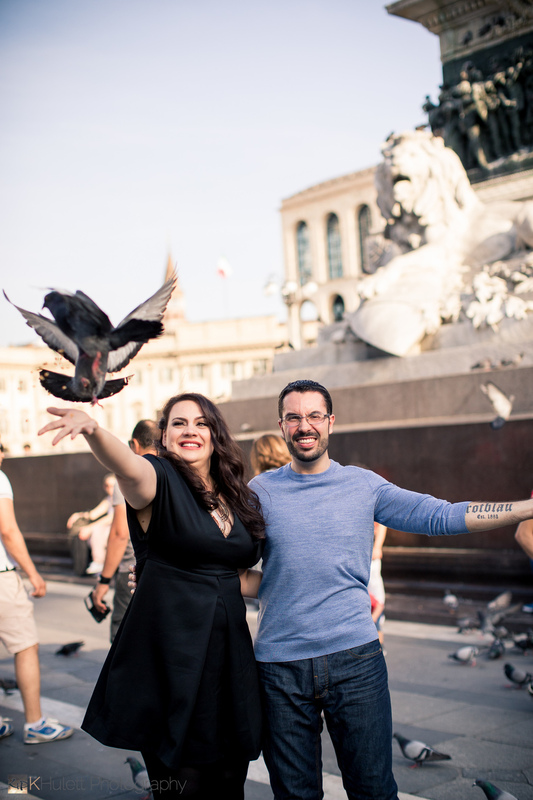 These two amazeball people traveled to Milan from Australia for their wedding in Lake Como. 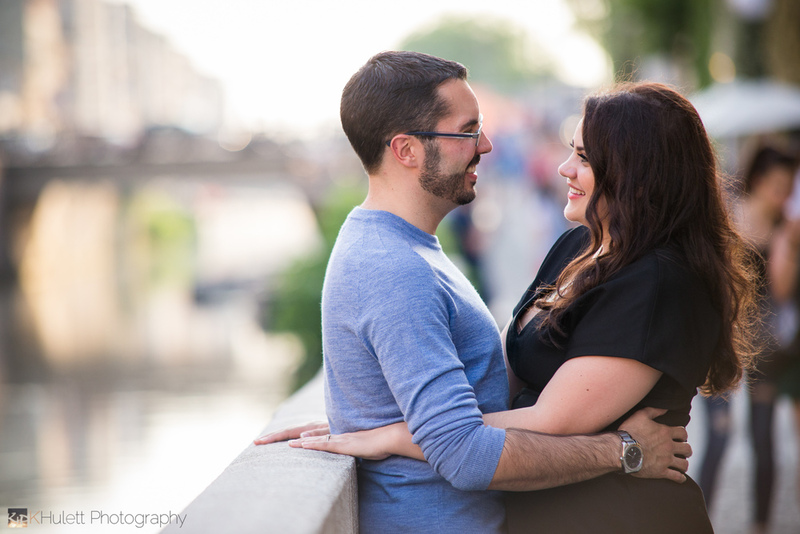 They hired us to photograph their unreal wedding at the lake a few days later, but first we did this casual engagement shoot at The Duomo (that super unrealistic-looking cathedral behind them) and surrounding canals and shopping areas. Afterward we had pizza in a restaurant with an unusually grumpy waiter and equally unusually delicious Italian pizza. Scouting: So we spent about five hours scouting this location for the shoot. 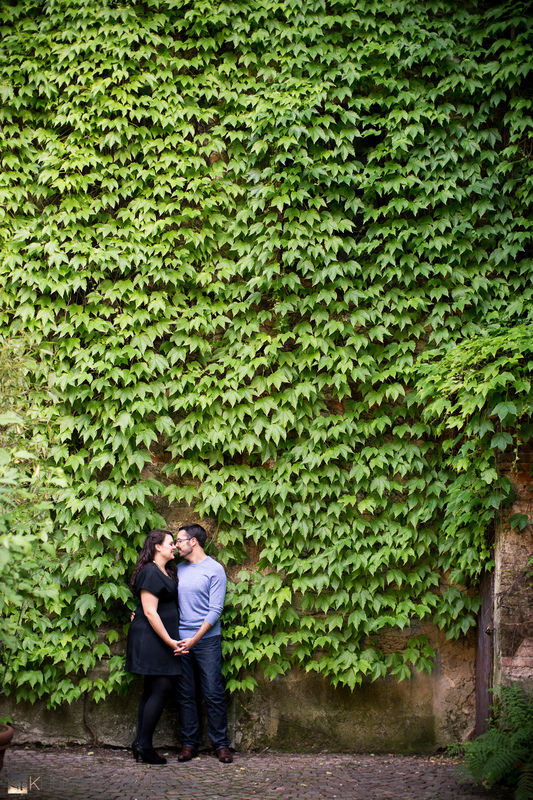 When you're asked to get engagement photos in Italy, you take it damn seriously. It's hard to tell from the photos (woohoo!) but these locations were PACKED with people. We wanted the images to feel intimate, so we spent quite a lot of time working out how to do that. To be honest, we were extremely stressed out about this shoot. 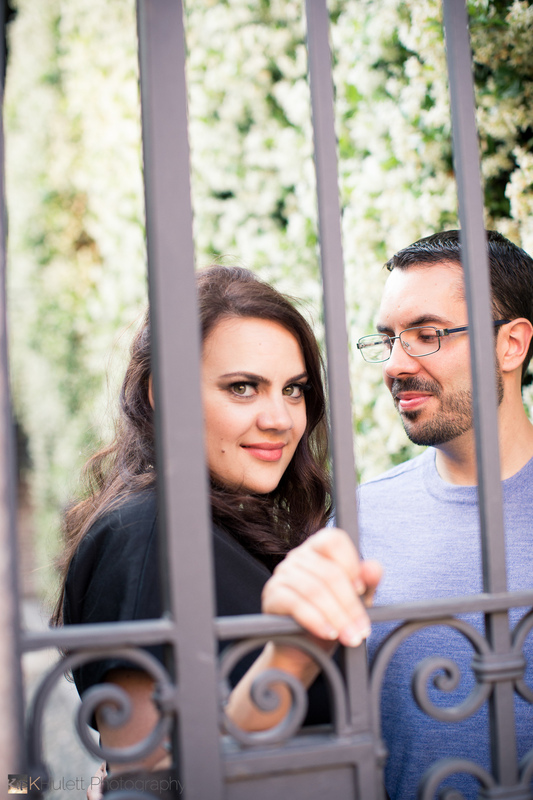 Luckily, these two were naturals in front of the camera and helped set us both at ease. We decided near the beginning to stop overthinking it and just have fun, and we love the shots we got.